Just bought a new Motorola digital cordless telephone a week ago. Opened up the box and there is one cordless phone handset and a base for charging the phone. There is also a one power adapter and 2 rechargeable batteries and a telephone line cord. Looking at the features – it can store 50 names in the phone book and also have a hands free speakerphone. I think the hands free speakerphone function is good as sometimes you get tired of holding the phone and putting it close to your ear while talking. 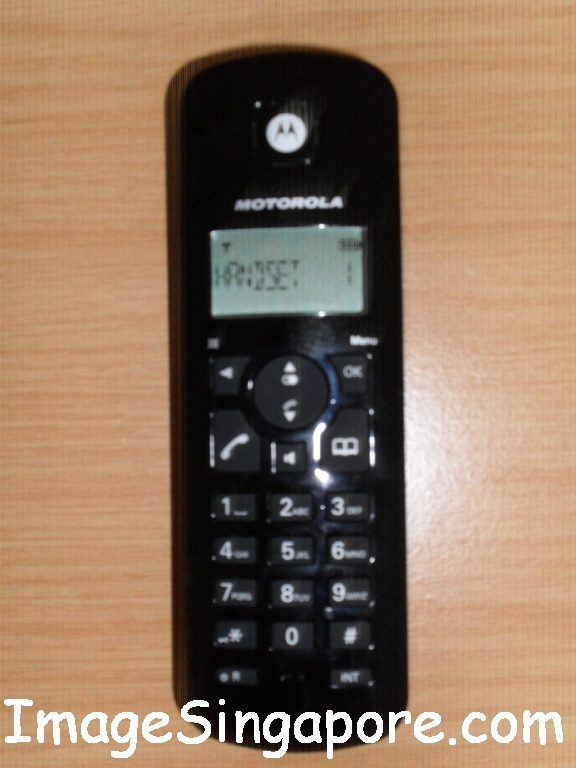 The model number is Motorola C401 and I bought it for about US$53/- ( approx. currency conversion). This Motorola digital cordless phone is compact and slim and it fits in any table. I charged it for about 4 hours before trying it out. The handset is easy to hold and the buttons are also easy to press. But the dislike is the orange background light on the LCD display. I would preferred a blue or green background light for the display. The numbers that appeared on the LCD display is large but it is too thin or slim in size. I called up my friend to try out the cordless telephone and the reception was good. My friend told me that she could hear my voice clearly. I also tried moving about to different areas in my home and still the signal was good; and I was able to have a clear conversation with my friend. On the manual it was stated that this digital phone can give about 12 hours of talk time and 250 hours of standby time on a single charge – that is on an ideal condition. I wondered what constitute an ideal condition? They should also state clearly what is the number of hours of talk time and standby time a unideal condition – that would make more sense for consumers. You can also expand this from a single handset to a maximum of 5 handsets. 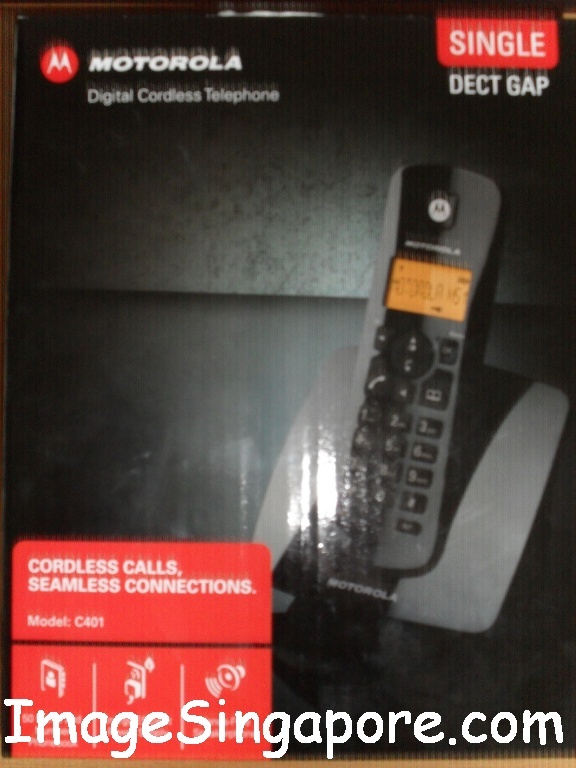 Though this digital cordless phone is relatively inexpensive, it is also covered under a one year warranty program. 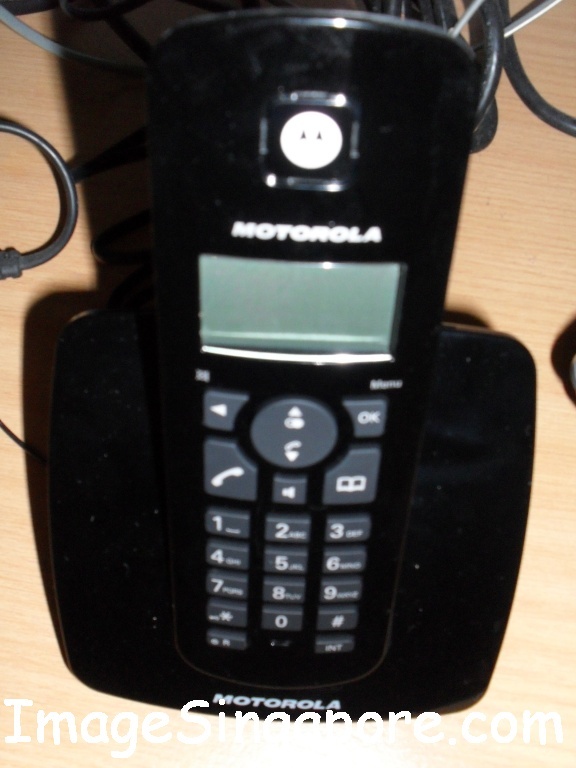 Using it for about a week now, I am quite satisfied with the Motorola digital cordless telephone. But if I would to buy another cordless phone, I would want a LCD display with a blue background light, a larger and thicker font display and a more colorful handset. Most digital cordless phone last about 2 years before they becoming faulty. Not sure how long this phone will last, but if it can work well for 2 years or more, I think it is good enough for me.